Introducing a brand new way to play Mama on Wii! Babysitting Mama includes a plush baby doll that you tuck the Wii Remote into, turning the doll itself into your controller for the game. 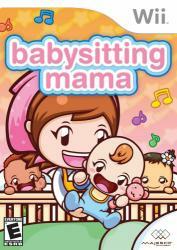 With Mama�s help you can learn how to take care of your baby and become a great babysitting Mama just like Mama!